Sunêlia Prestige 6/8 pers. 3 bdrms. Those who travel in groups are always struggling to find shelters that can house them all together. At Camping Sunelia Aluma holiday, They can have the solution to this Problem. This 5-star outdoor hotel offers accommodation solutions for large families or groups of friends travelling Together. Among these offers, there is the Sunêlia Prestige 6/8 people. As the name implies, it is a shelter worthy of a high-end place. It is provided with all the elements that can ensure or even optimize the comfort of its residents. As indicated on its name, this mobil-home has 40 m2 of surface. It is divided into several pieces. The first room is a parent room. It has a double bed of 160 x 200. The second room and the third are rooms having both 2 single beds Each. A living room and a dining area are also available in this mobile Home. The bench in the living room is convertible into a bed for two people. In the kitchen, there are all the appliances that allow to prepare meals morning, Noon and Evening. There are kitchen utensils and a lot of dishes enough for all the Residents. If you have special needs, you can apply to the Reception. This mobile home also has a dishwasher. On the bathroom side, this prestigious mobile-home model has two water rooms. The first one is equipped with a shower, a washbasin and a WC and the second one has a shower, a washbasin and separate toilets. 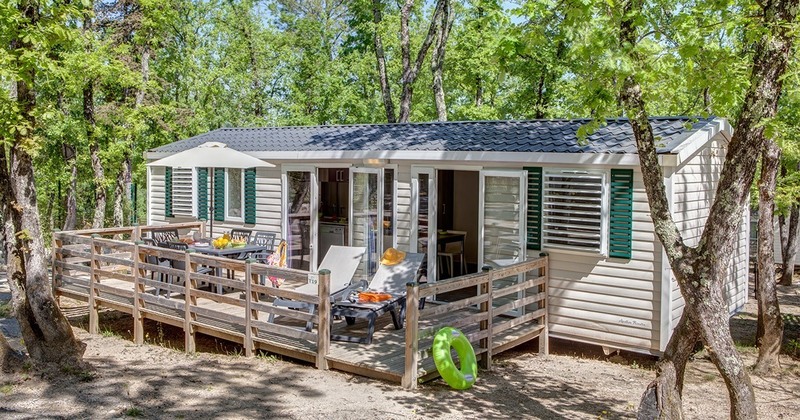 This spacious mobil-home of 40 m2 of camping Sunelia Aluma holiday has heating and air conditioning. So it is possible to have a pleasant atmosphere in any Season. There is no danger of being too cold or too hot. For those who have valuables or liquids with them, they can lock them in the Safe. But this playhouse also has a TV Station. Residents will be able to watch movies or other programs. They will also be able to take pets outside 1 ° and 2 ° Cat. For each animal, a surcharge of 6 euros per night is Requested. In addition, the tenants have at their disposal a large terrace. Garden furniture is installed There. So they can start to enjoy the Outdoors. They can also take their meals or organize board games of all KINDS. 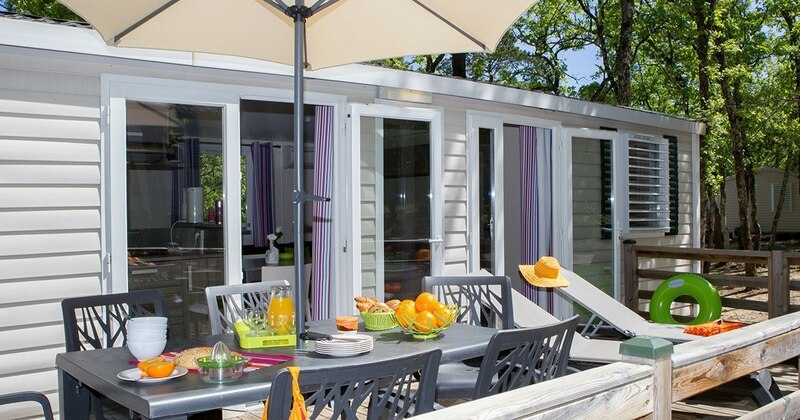 To further optimise comfort and help customers and clients to be even more serene during the holidays, the campsite offers them rentals of Sheets. Towels are also available for Rent. And if they do not want to do the housework when they leave, they will be able to reserve the cleaning of the end of the Stay. So it's up to the camping staff to do That.